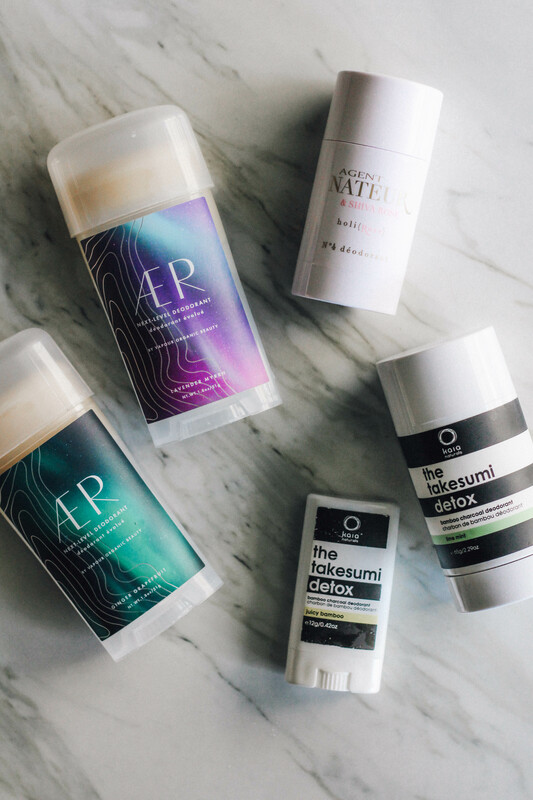 *These products were sent to me through my favourite Atlanta Green Beauty Shop, Fig & Flower. Let’s start off with the incredible, insanely effective and mesmerizingly scented h o l i (o i l)! This Refining Face Oil is completely non-toxic and combines the highest grade of natural, non-gmo ingredients that are organic or wild crafted. 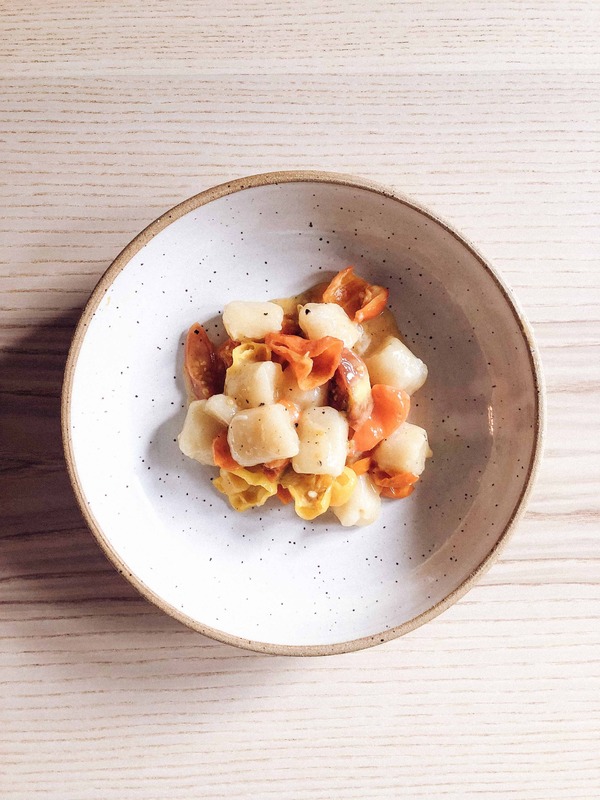 Jena has searched the world for the most effective vitamins and oils and sources each ingredient in Europe from small discreet and trustworthy suppliers. Mainly because she believes the quality is superior in Europe – I would have to agree! This face oil totally sinks deep into my skin. It’s not overly greasy and it feels wonderful. It is meant to brighten, hydrate, reduce redness and wrinkles, heal scars and acne, prevent sun damage, correct hyper-pigmentation, dark spots and replenish collagen. But, the real question is, does it do all of this? YES. It’s quite something actually. I don’t think I’ve ever used a face oil that has worked as effectively or as quickly as h o l i ( o i l ) Youth Serum works. I fully intend to use this oil for as long as I can! I mean, an oil that supports graceful aging by increasing the skin’s elasticity with more than 100 antioxidants is a winner in my book! My skin loves it! It’s glowing, happier…and big plus, it smells INSANELY good! h o l i ( o i l ) can be used day or evening and should be applied onto clean skin before bedtime or in the morning, right after you wake up. 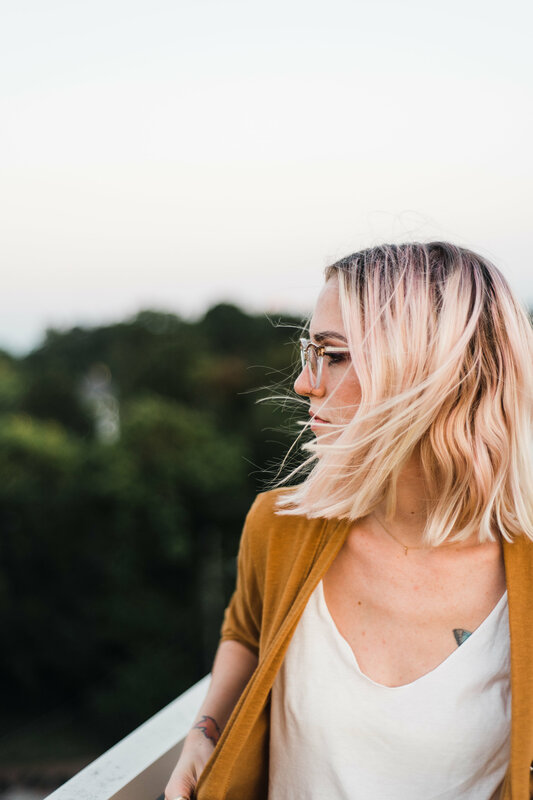 Agent Nateur suggests using four to five drops and gently patting evenly on your face and décolletage (so important not to forget this easily overseen area, give your neck some love!) You can totally combine h o l i ( o i l ) directly with sunscreen and foundation! Just be sure to mix it well in the palm of your hand. The versatility of this serum is wonderful! You can wear it with or without makeup and if your skin is normal to oily, Agent Nateur suggests using the serum in place of moisturizer. If your skin is on the dryer side, layer it with your moisturizer. Vitamins for your face? Yep! This refining product can reverse fine lines, protect from sun damage, brighten, even out your complexion and reinforce our skin to lift by producing more hyaluronic acid. It even helps heal scars and acne…and helps rosacea! If it couldn’t get better, it just did! All ingredients are sourced in France and are non-gmo, natural, not cut with any fillers and are completely cruelty-free. You may apply h o l i ( c ) to clean, dry skin in the morning or before you go to sleep. Use the little scooper that comes with the jar and mix a spoonful of h o l i (c) in the palm of your hand with two drops of water. Then, add your h o l i ( o i l ) Youth Serum (or other favourite serum) SPF or moisturizer. Mix all of them together really well in your hand – this is super important to get a smooth, proper application. If not mixed properly, it can become lumpy and produce a strange texture. Gently massage into our face, neck and décolletage. To enter, be sure to check out my latest Instagram post, (look for this photo to your right) and follow the steps to enter (or check them out below)! Your IG profile must be public. Private profiles will not qualify for entry. Giveaway ends Thursday, October 12th. Winner will be announced on my Instagram post. Open to U.S., Canada, UK, Australia, Ireland, Israel and New Zealand! And that’s that ladies and gents! What an amazing duo, right?! 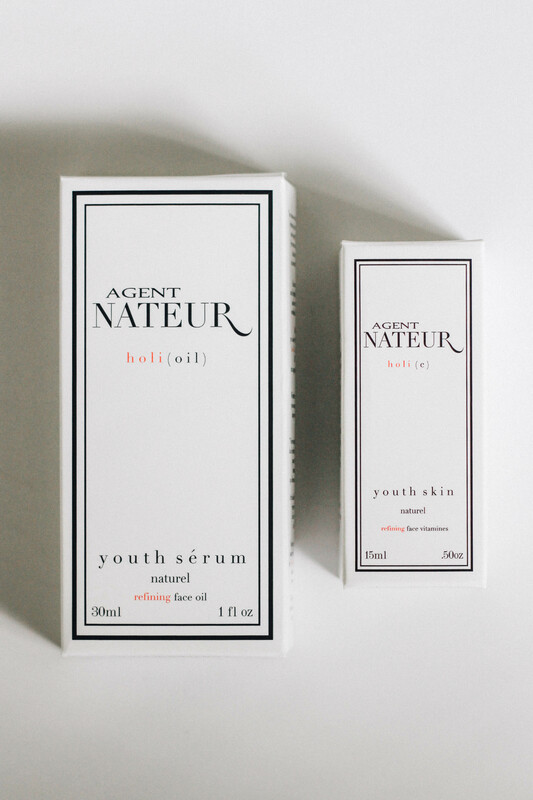 Have you tried any Agent Nateur products, or these above-mentioned ones? Do let me know in the comments below how you like them, if you have! If you have not, and you’re considering buying these bad boys – I’ve got a special discount code for you! 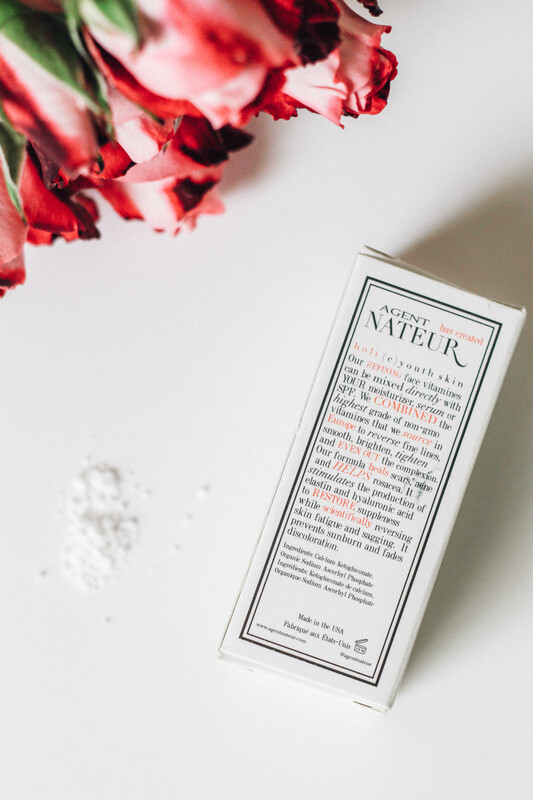 Head over to Fig & Flower to purchase them and use “hullo10percent” for 10% off the entire Agent Nateur collection! This post is sponsored and contains affiliate links. These products were sent to me to review through Fig & Flower. As always, all thoughts expressed are honest and unique to my personal experience. For the past year, I’ve been struggling with hormonal acne and very dry skin. Although some products have helped, there hasn’t been a drastic improvement. I’d love to win because I’d like to see how the Agent Nateur works on my skin before purchasing my own. Thanks for the awesome giveaway opportunity! I already have holi oil but know that I’ll need a back up, it’s so good! I’ve been dying to try holi c as I am missing vitamin c in my routine & I love that Jena cares so much about where’s her C is sourced. I also like that it’s sodium ascorbyl phosphate and not l ascorbic acid for a change!! I’m always looking to expand my natural beauty products! I have helped transition most of my family and friends to clean living in general and would especially love to share these products with my mom and sister. I’ve been really wanting to try something new (and green!) for my skin. I have been dying to try these products. I have the deodorant which I love, but have not yet bought the other products. The Holi(oil) sounds like exactly what my skin needs. I’m eaoecially hoping it will help with the redness on my cheeks. Love giveaways! It’s always an opportunity to try something for free and fall in love with it and go back for more! I have been trying to transition to “clean beauty” for the last 7 months and I’m always trying to find skins are to help my sometimes dry and uneven skin to create a better canvas for my makeup. Would be so excited to try this out! 🌹Oh my word, so want to try this. I am just looking for an all natural moisturizing product that won’t clog my pores and is healthy for my 49 year old skin, getting all those other benefits you mentions (reverse fine lines, smooth, brighten, tighten and even out your complexion; The formula heals scars, acne and helps rosacea) would pretty much make my life!! Love their deodorant. Would love to try these skin products too!! Ooh I’ve been diving into skincare and would love some good natural products! I do want to try this. My skin can be a pain. I actually didn’t know about this line until I read your IG post, and I must say that I desire to try it! I try to find healthier and more natural products, so this looks like a major win! Thanks for sharing this with us. For years (since middle school) I have suffered from chronic cystic acne. Growing up I was bullied for having these huge red bumps all over my face as well as on my body. My family couldn’t afford a dermatologist so I tried everything over the counter and nothing worked. I eventually got on the generic accutane. Unfortunately, it was too late for my skin. The acne cleared up but deep scars still remain all over my forehead and sides of my face. I almost feel cheated.I did not hear about this product until IG but the reviews are great and I would love to try this product. It’s also a plus that it’s completely natural since I have such sensitive skin. I would put this product to good use. I would love to win. I’m 29 ( almost 30) and my skin is just starting to show my age. I’ve heard Janny say breat things about this line and I trust her so I’d love to give it a try! I have been struggling with my skin as of late and would love to win these products! I break out because of stress and would love an amazing treat that would be kind to my beautiful face that deserves a lot of love. I would LOVE to win these products because I need to find healthier beauty products and these sound amazing! I want healthier skin for my upcoming honeymoon! The oil’s claims are almost to good to be true! But I struggle with such a myriad of skin issues (acne, ageing, dryness, sensitivity, clogged pores) and would be very curious to see if a couple products really can do it all. So awesome !!! Would love to get my hands on this product!! Hormones are crazy after having a baby and I know this will help balance out my skin!!!! Would so love to win and try these! I left the last few earlier mama years take a toll on me and I’m working hard to restore skin back to where it was. This line sounds amazing! I found you and your giveaway through Jens IG, I have to say I absolutely love her commitment to truly green products that actually do work plus she is such a classy gal! I’d love to win because as much as I love the products they are on the high end price wise so it would be a wonderful thing to not have to splurge. Glad to found you and your blog! I have been converting my makeup bag into a chemical free haven these last few months. I’ve been nourishing my body with the right foods for about 12 years now but my makeup unfortunately is the last to get the “good for you” treatment! It’s quickly becoming an obsession to find companies that are completely pure and I’m so excited to see these recommendations you’ve listed! I love retinol and have been searching to find a green alternative! The Holi(c) sounds amazing and combined with the oil seems like a fantastic combo for my dry aging skin!I love Jena’s approach to developing her line, and how she seeks out only the best quality ingredients. Hi! This is such an exciting opportunity! I actually live across the street from Fig and Flower, I’m a huge fan! I have been slowly been collecting products from them when I can afford it. I’ve been taking better care of my skin than I have in years as of late, due to some happy soul searching. I’d be overjoyed to have this product that would normally be out of my price range! I’ve had a newfound joy in pampering my skin and it’s helped me find a new way to be mindful each day! Desperately trying to find a natural solution for a skincare type that seems to change dramatically season to season! I would love to win this product because of the ethics behind the company and the all natural approach. I love the way you review and are passionate about the companies you believe in and I trust your judgement and I would love to try this out for myself! … Fingers crossed! You had me at Sandalwood!!! 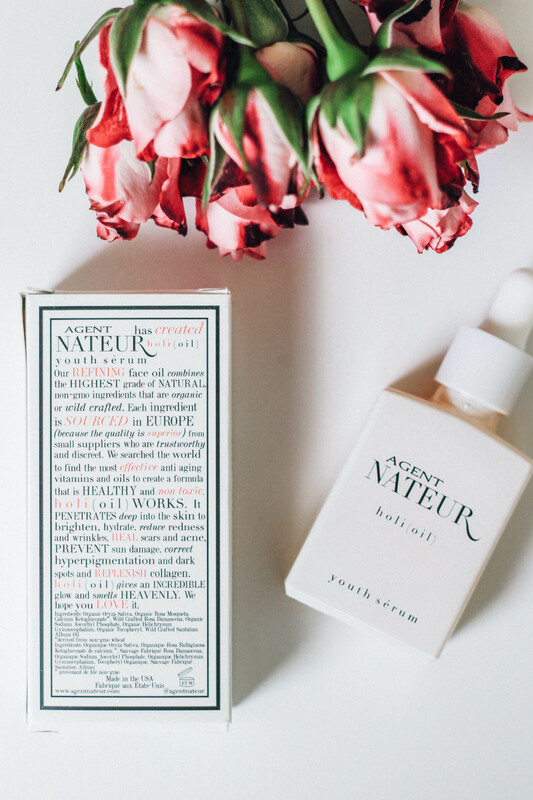 It would be awesome to win these Agent Nateur’s products. Have heard many great things about this brand and would love to really put them to the test. I feel like Agent Nateur’s line would be a luxury self care treat. I have uneven skin and I would love to see if these help! I’ve really enjoyed following you on Instagram, thanks to my hip and younger sister! I’d LOVE to win this skincare, because I currently lack a daily regimen. I know I need to make taking care of my skin more of a priority, but it tends to fall lower on the totem poll than it did in years past. I would love to win these products, because they sound like magic for the skin! 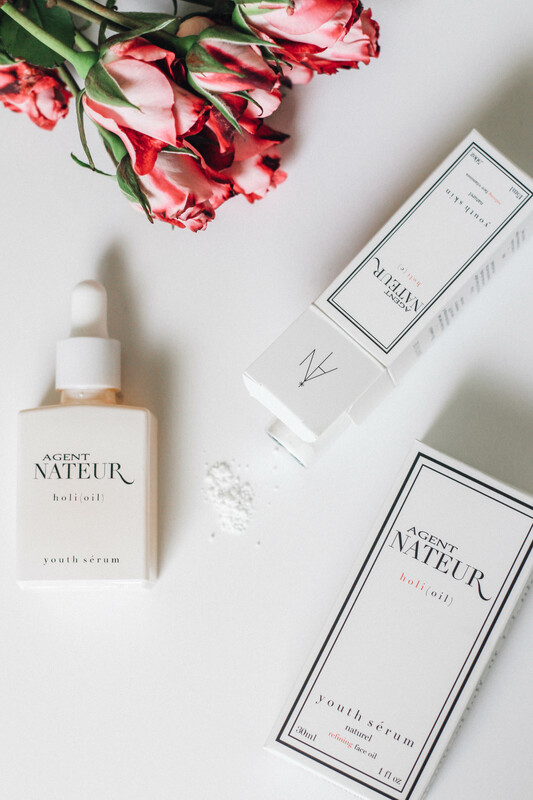 I have heard so many great things about Agent Nateur’s skin care products and I would love to experience their skin saving benefits for myself! Thank you for the opportunity to win ! Thanks for sharing these products with us! They are new to me and I am always searching for quality products that are a healthy choice for my skin. I would love to have the opportunity to pamper my skin. What a fabulous giveaway! I would love to try these two products because I have heard so many good things about Agents Nateur’s products. I have tried all kinds of facial oils but I couldn’t find a perfect oil for my sensitive skin.